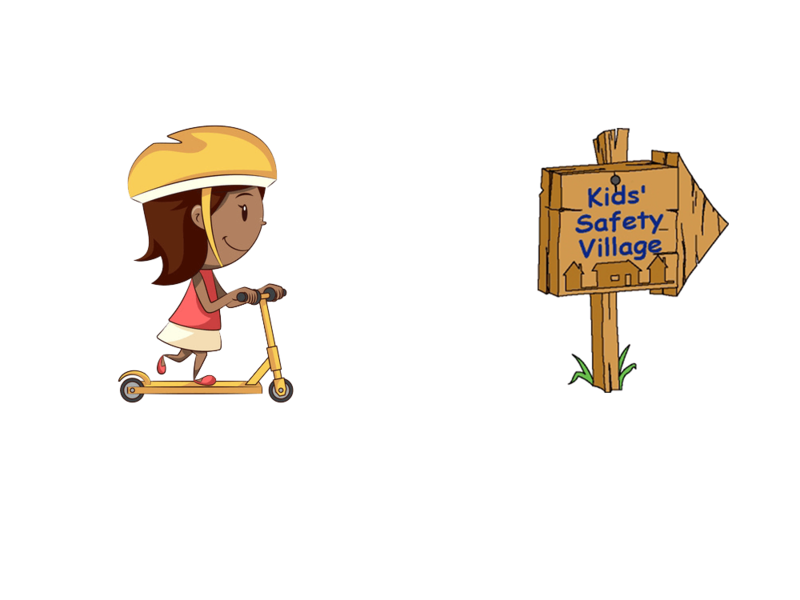 The Kids’ Safety Village of Durham Region is designed to deliver age-appropriate safety learning classes to school children from all across Durham Region. Programming is currently aimed at grades one through six, with a different theme for each grade. 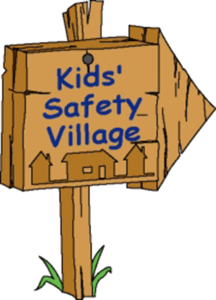 Classes of school children do not need to pay to get all the great safety learning provided by the The Kids’ Safety Village, because it is provided for by the community. The KSV is jointly sponsored by the Durham District School Board (who have dedicated the land on which the Village sits), the Durham Regional Police Service and Police Services Board (who supply the staffing and the maintenance), and a volunteer Board of Directors, made up of community members and representatives from several Service Clubs, including the Ajax Optimist Club, the Whitby Lions Club, and the Rotary Club of Oshawa-Parkwood. In addition, since its inception, the Village has been financially supported through the generous donations, building sponsorships, and in-kind donations of labour and materials by numerous organizations and individuals in Durham Region. How Many Students Can Attend a Class? The Kids’ Safety Village of Durham Region is constrained not only by classroom size but also by number of staff to deliver the programs, and the availability of hands-on learning equipment. For this reason, class sizes are limited to 30 students per classroom at one time. Can I Book for Other Teachers? We find that often teachers will book for all the classes in their grade level for their school. This can pose a challenge for keeping our records straight, so we ask that if you are booking several classes please use the actual teachers' names in the comments section for those classes. Are Children With Special Needs Welcome? OF COURSE! Teachers who have one or more special needs kids in their classes are asked to kindly notify us of this when booking their classes. That way we can be prepared in case the children need to use any of our specially adapted devices (such as scooters instead of pedal cars, etc.). Also, teachers are requested to please ensure that there is adequate parent/helper support when you attend the Village. A good ratio is 1 parent/helper per 5 children. In classes with special needs kids, you will want to ensure that the ratio is lower. Please note that the staff at the Kids’ Safety Village are there to assist your students in having a meaningful learning experience – they are not teachers but rather subject matter experts, and as such it is expected that teachers will remain engaged and in control of classroom behaviour management during the in-class and outside learning components. Your understanding and cooperation in this matter will make for a much more productive learning opportunity for all the students. The Village, as part of the reconstruction, includes larger washrooms and better accessibility throughout. There are also accessible parking spots near the front doors. The Kids’ Safety Village has also received a facelift to provide expanded, accessible entry into various buildings that were formerly difficult for those in wheelchairs to access. In addition, roads and sidewalks have been upgraded and resurfaced, as well as general maintenance to the existing buildings and features within the grounds, like the level railway crossing. It’s exciting to know that all children will receive the expanded education and easy access to the Village. While there is no cost to school groups from Durham Region to attend the safety learning opportunities at the Kids’ Safety Village, they do have to arrange (and pay for) their own busing. Teachers are advised to check with their individual Boards to obtain a list of their Boards’ vetted bus companies, and then book their transportation to and from the Village as they would for any field trip, once they have confirmed their class visit’s date and time through our online booking engine. The classes at the Kids’ Safety Village can be adjusted by about 10 minutes either way, but we are also working with our partners at the school bus companies, and many teachers have told us that it is almost impossible to get a school bus to pick up at a school any earlier than 9:10 am, and they must be away no later than 1:55 pm in order to get students back to school in time for the buses to start their afternoon runs. Why Are Some Programs Not Offered Year-Round? The reason that certain programs are limited to certain seasons is that we have only a short season in which to operate our outdoor programs which involve "wheels", so those seasons are set aside for those programs, and the "non-wheels" programs are offered in the winter months when we cannot use the wheels outside. Where do Parent Volunteers Park? 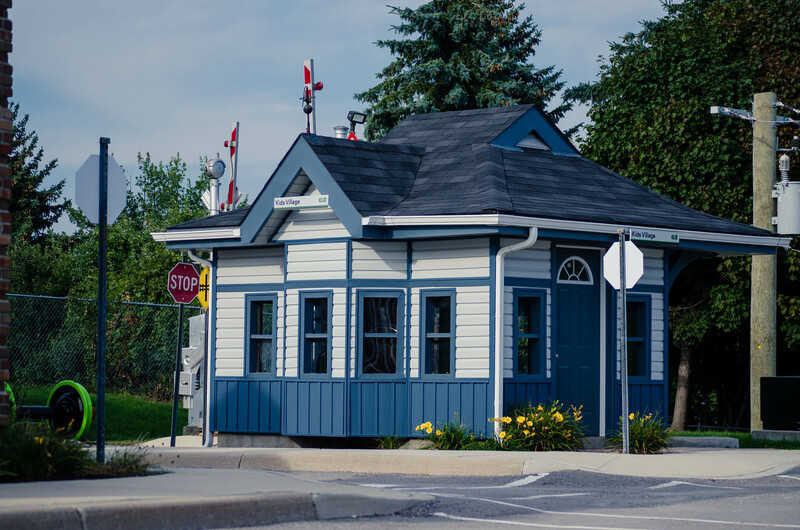 The Kids’ Safety Village of Durham Region has limited parking on site – so parents are encouraged to ride the bus with the classes they are accompanying. However, for those who need to bring their own vehicles, there are about six parking spots in the lower (west) parking lot available for this purpose. It sometimes happens that a teacher may need to reschedule the class due to school or busing issues. In these cases, please call or email the Kids' Safety Village at 905-668-9893 or safetyvillage@drps.ca and we will do our best to accommodate you.